January 24th is Change A Pet’s Life Day! 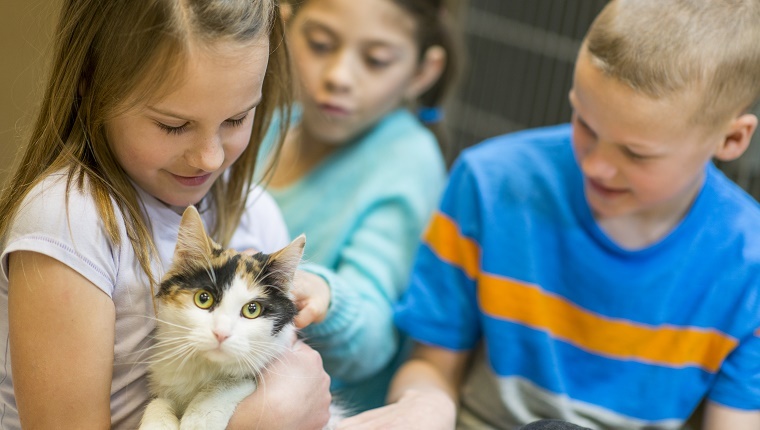 It’s a chance to celebrate making positive changes in our cat’s lives, to raise awareness about shelter animals in need of homes, and to encourage adoption. But you don’t need to adopt a cat every year in order to make a positive impact. 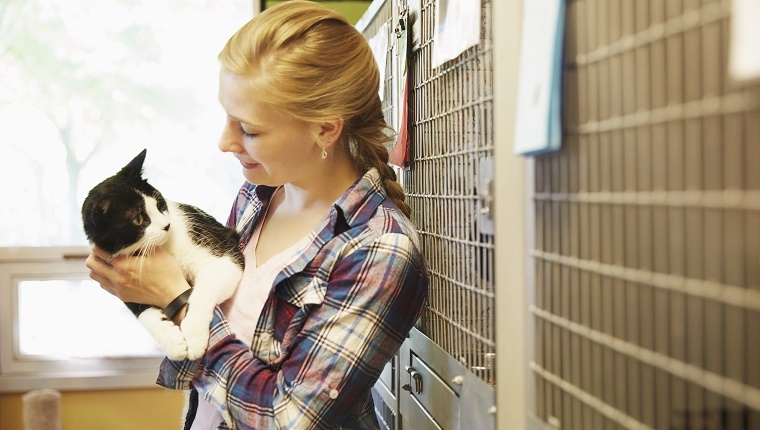 There are plenty of ways to help make life better for cats in need. Here are eight ways to change a cat’s life. Adopting and fostering don’t just change the life of the one cat you decide to take home. You’re also helping other shelter cats by freeing up resources and space. Shelters struggle to give all the animals in their care the love and attention they need, as well as the basics like food and medicine. By providing a home, even a temporary one, to a cat, you’re also changing the lives of other kitties while they wait for their own forever homes. If you absolutely can’t take a cat home, you can still sponsor a cat. Many shelters, sanctuaries, and rescue groups will allow you to contribute for a cat of your choosing, and they’ll send you updates and pictures to show how your kitty is doing. You may even be able to cover your cat’s adoption fee, which will help them have a better chance of finding a forever home. It’s a nice way to make a positive change in a cat’s life without the responsibilities and burdens that can come from owning one. 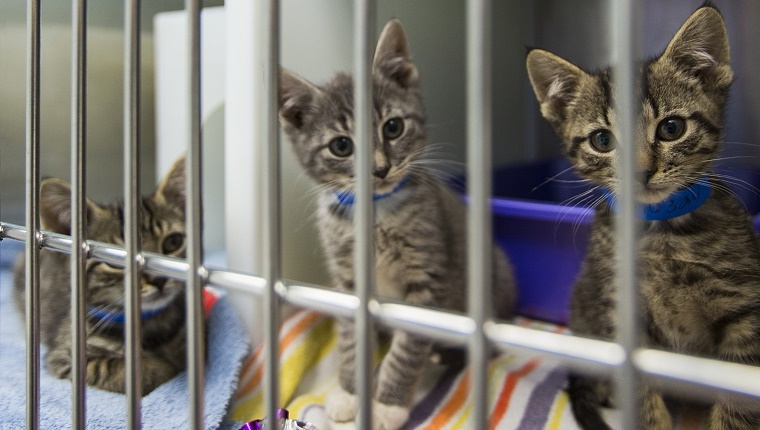 Shelters are almost always looking for volunteers who can help take care of all the animals. 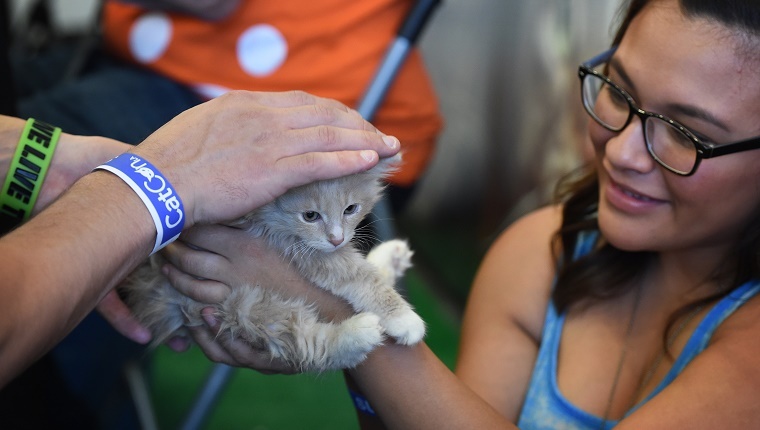 When you volunteer, you’ll be able to spend lots of time with all the cute kitties and give them the love they need while they’re waiting for a forever home. Your interactions will also help socialize them and get them to trust humans, which goes a long way in making them more adoptable. It costs a lot to provide a cat with food, medical care, microchips, and other needs while keeping the lights on at a shelter. Most animal shelters are non-profits and rely heavily on donations from people who really care about animals. Your contribution is always appreciated and it goes a long way in making sure cats have the resources they need. It’s very easy to spread the word about cats that are looking to get adopted thanks to social media. We provide links to several adoptable cats on our CatTime Facebook page, as well as our Save A Cat page. By sharing these links with your friends, you’re helping to get the word out, and the more eyes that see adoptable cats, the better those kitties’ chances are of finding forever homes. It’s a way to make a positive impact for a cat that couldn’t be easier! Check a local shelter in your area to see what events are happening and how you can get involved. Many shelters across the country are getting involved in Change A Pet’s Life Day, and if a group near you is taking part, help spread the word on Facebook and Twitter. You can even make the next event a fun get-together with friends you haven’t seen in a while, and you’ll be helping cats at the same time. 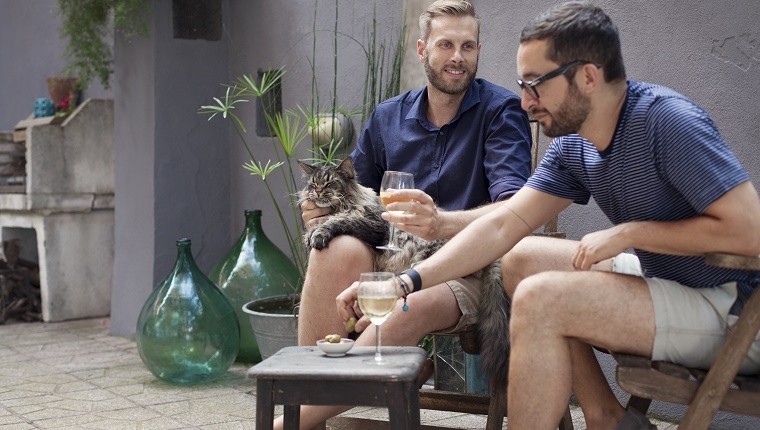 There’s nothing we cat lovers enjoy more than talking about kitties. Take the opportunity on this day to celebrate your own cat’s journey, and tell others how you’ve changed your cat’s life for the better. Spread positive, encouraging stories helps to show others how wonderful adoption can be. The more people know how great it is to own a cat, the more kitties will find forever homes. Even though you’ve already made such a wonderful impact on your cat’s life, you can still celebrate this day by making some positive changes. 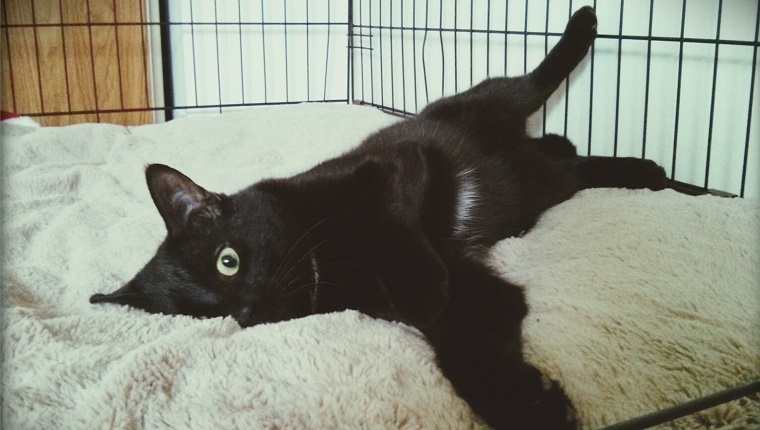 Try mentally stimulating your cat in a new way, or make an effort to connect with your cat on a deeper emotional level. 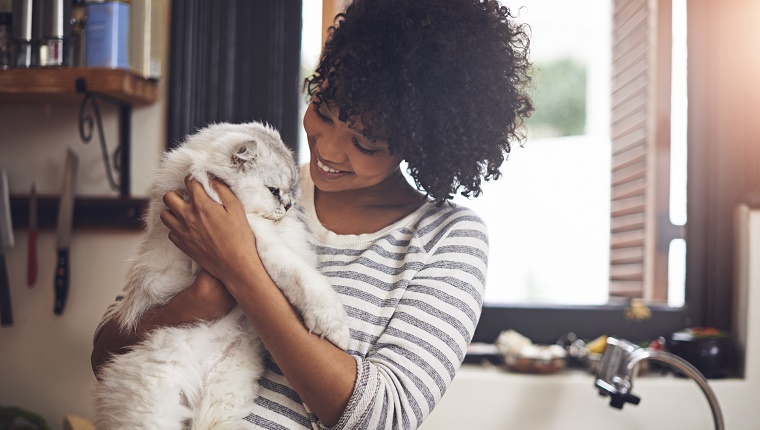 Learn more about your cat’s body language and how they express their needs. Try cooking for your cat or making special treats. There are endless ways to make your cat’s life that much better, so give them a try. How have you made life better for cats in need? Are you going to help cats on Change A Pet’s Life Day? Let us know in the comments below!